Our goal is to explore and enjoy the desert mountain ranges of the American West. We have a list of 95 spectacular peaks to climb. Come explore the vastness of our great land with us! Members and Subscribers, click here to access the peak guides. Last light on Pahrump Point (5,740') from the camp in the Chicago Valley. 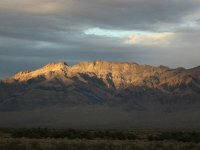 The peak is located northeast of Shoshone, CA off of State Route 178, east of Death Valley National Park and just west of the Nevada state line. 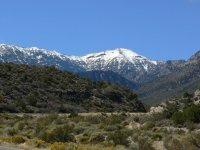 A snowy Mount Charleston from Kyle Canyon. Mount Charleston is right out of Las Vegas, and is nearly 12,000 ft high. Join our 2019 Annual Banquet at The Reef Restaurant in Long Beach, California. 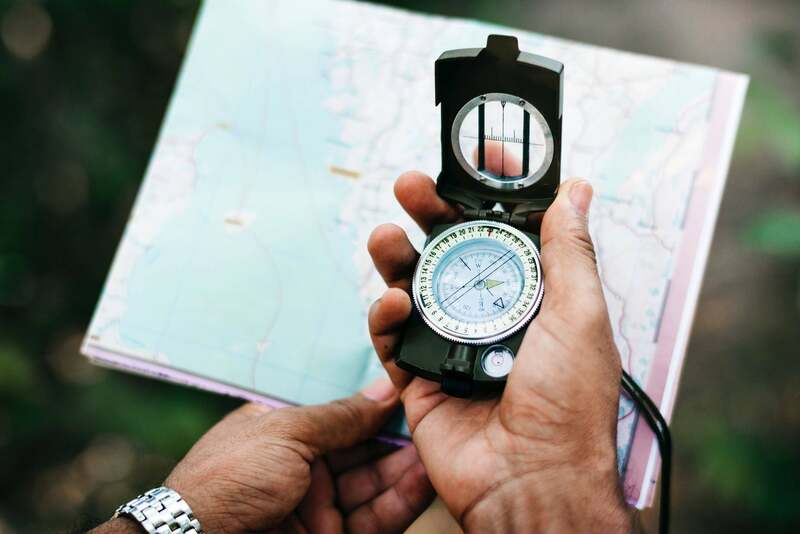 Our speaker will be Ron Bartell, an intrepid hiker and explorer who will highlight many of the most remote and interesting parts of Death Valley. All are welcome to come with us on our climbs in the desert. Anyone may subscribe to our bi-monthly newsletter, the Desert Sage, for $10 per year. 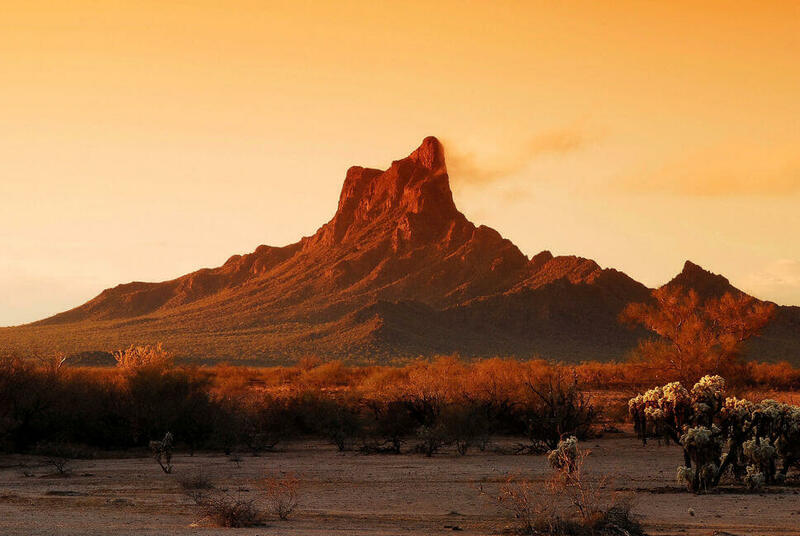 The Desert Sage includes a schedule of upcoming trips with information on how to sign up with the leaders, write-ups of recently led trips, and other articles of general interest about the deserts of the Southwest. The Section membership application form can be downloaded in Word format or Adobe Acrobat format. Those who would like to become members of the section may do so after climbing 6 peaks on the list and joining the Sierra Club. Please contact the Membership Chair for additional information.